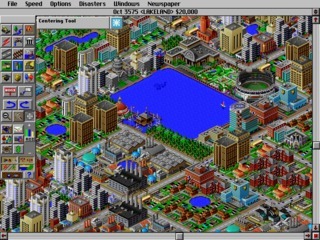 SimCity 2000 is the city building game subsequent to Sim City, developed and published by Maxis Software and released in 1993. It made its way onto many platforms following its initial release. 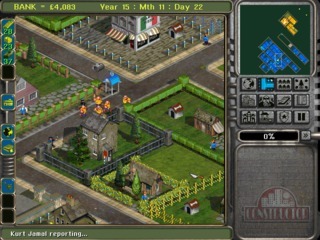 Sim Theme Park (also known as Theme Park World) is the sequel to Theme Park and the second game in the series. 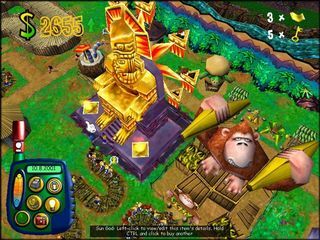 It is a theme park management game where players build their own theme park with roller coasters, rides and food stalls. 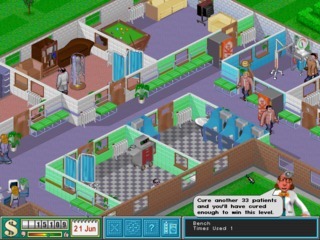 Theme Hospital is a business simulator developed by Bullfrog Productions and published by Electronic Arts for the PC in 1997. 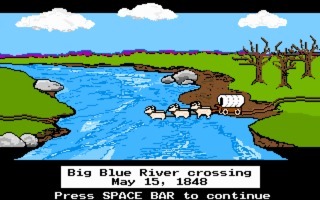 It's the second game in Bullfrog Productions' Theme series, and was proceeded by Theme Park. 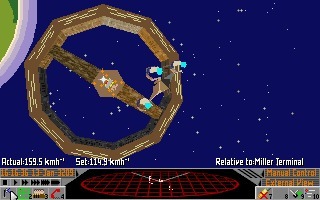 The 350th game on GamesNostalgia is our favourite game ever: Frontier: Elite II. 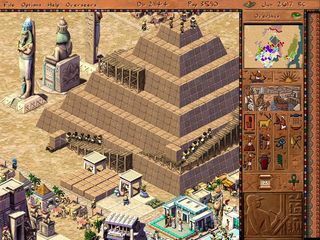 You can download here the PC version, which had a more advanced graphics engine, featuring texture mapping, compared to the Amiga version. 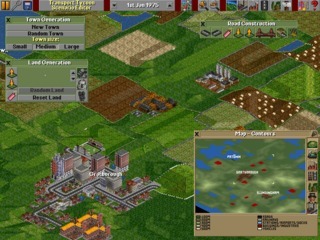 Transport Tycoon Deluxe (or TTD) is an improved version of Transport Tycoon, a business simulation game developed by Chris Sawyer and published by MicroProse in 1995 for MS-DOS. A Windows version was released in 1996. 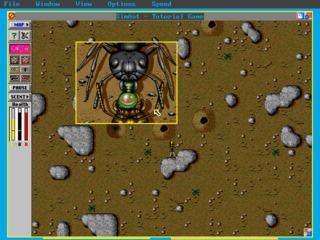 SimAnt: The Electronic Ant Colony is a simulation game inspired by ants and the ways of their life, created and published by Maxis. 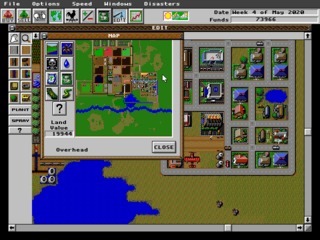 Released back in 1991 for the PC, it lets the player take control and run an entire colony of ants. 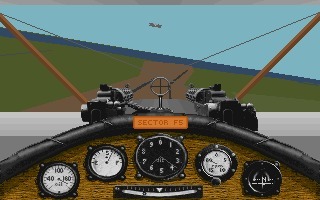 Red Baron was created by Damon Slye at Dynamix and published by Sierra Entertainment in 1990 for MS-DOS 5.0. Two years later it was ported to Amiga. Red Baron is a flight simulator game set in World War I, on the western front. 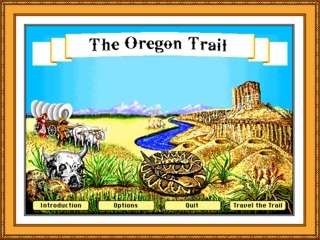 The Oregon Trail is a computer game originally produced by the Minnesota Educational Computing Consortium (MECC) in 1974, designed to teach school children about the life of 19th century pioneers. 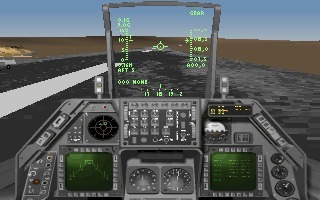 Strike Commander is one of the best combat flight simulator ever created. 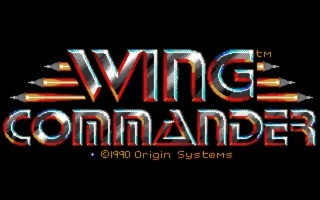 It was designed by Chris Roberts and released by Origin Systems for the PC MS-DOS in 1993, after 4 years of development.